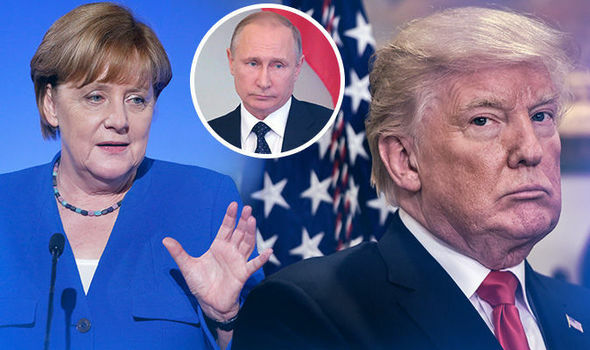 It is in overarching German geopolitical interests to play Russia and the US against each other, as much as they can, and for as long as they can. And this is exactly what we are seeing now. Do not underestimate the potential of the German intelligence. The Abwehr is back, and it exercises its collective brain gyri with gusto, revenge, and enjoyment but extra carefully; their actions are under the deep covers but in full swing. They fooled everyone. Deep deceit and the multiple covers probably are the favorite, well tried and tested historical tactics of the German Intelligence, and especially German Military Intelligence. Buyer beware! They unleashed the information war against the U.S. under the well-constructed Russian-Israeli covers, they studied the process and the particulars of this attack, and they did everything possible to immunize and protect themselves from these types of information war directed against themselves. This attitude betrays their deeply rooted insecurity and their historical existential fears mixed with the unbound aggression potential, which looks like the logical and the inevitable attitude on the part of the defeated and conquered nation. And now, what are you going to do about it?